People living with HIV are increasingly involved in shaping HIV responses and their collective expertise and competencies are informing the revision and/or development of normative guidelines and policy frameworks. 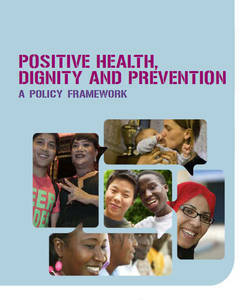 Recent consultations for the revision of the WHO’s ART Guidelines and the conceptualization of a new ‘positive prevention’ framework – Positive Health, Dignity and Prevention – demonstrate how people living with HIV are transforming their individual realities into global policy dialogue. Their diverse voices and experiences are gathered systematically using different methodologies and consolidated into recommendations for advocacy. This approach not only facilitates the development of credible, acceptable and effective guidelines, it also enhances ownership of the process, enables people living with HIV to hold their governments accountable and forms the basis for sustained advocacy.